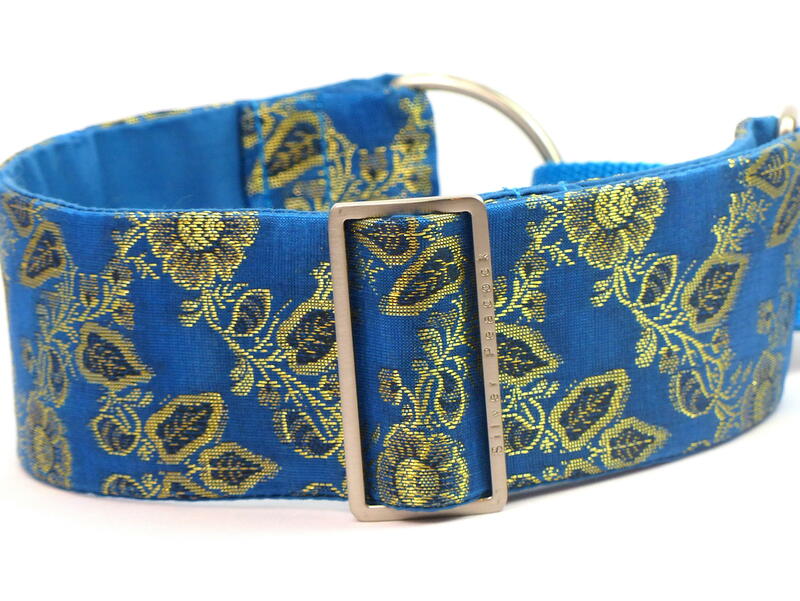 We've always loved this fabric, we sold some collars made from the fabric a few years ago but have a little left so have bought it back! 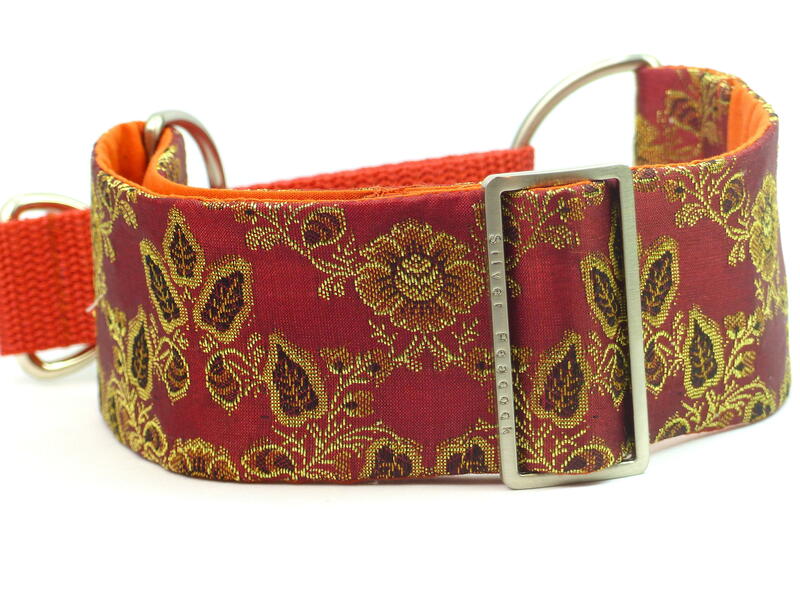 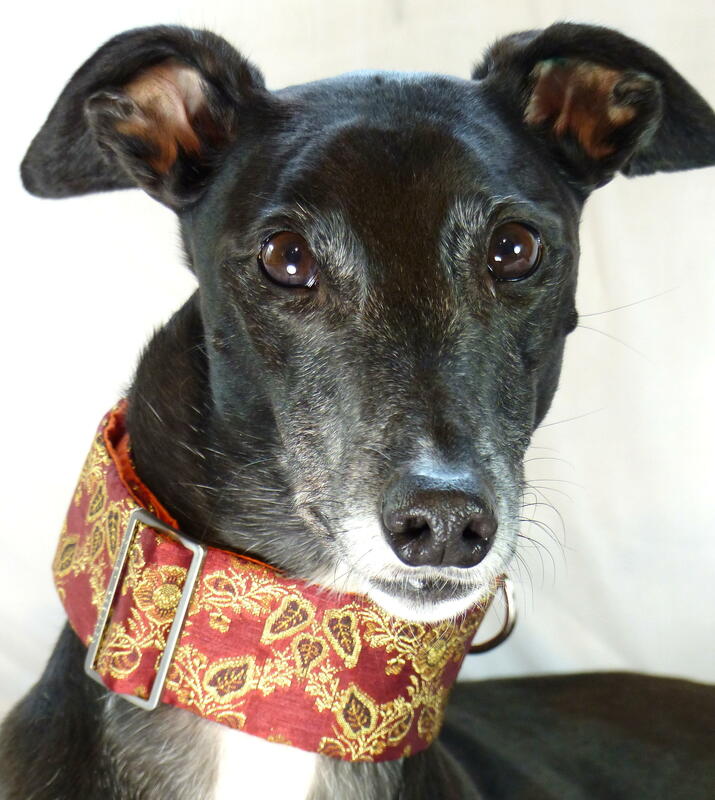 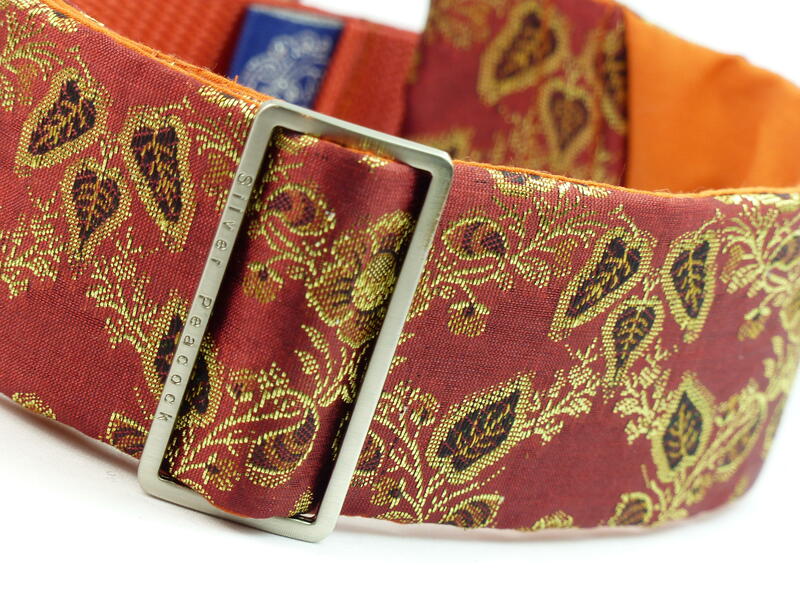 Made from burnt orange coloured fabric with metallic gold leaf and floral designs covering the whole of the fabric, this collar is sure to get your hound noticed! 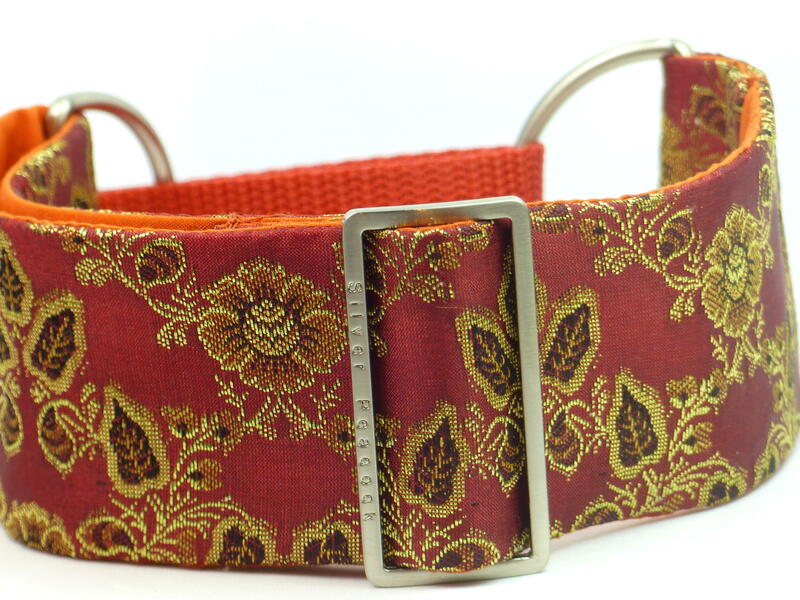 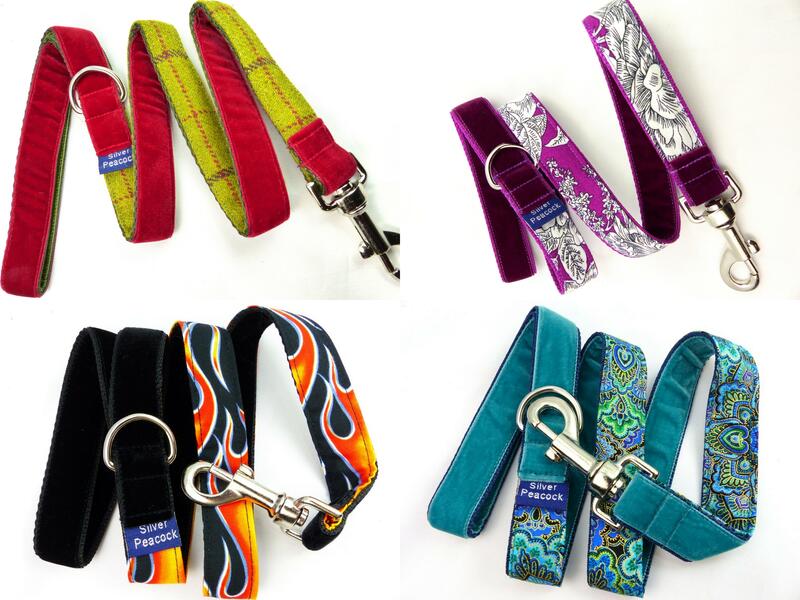 The collar is lined in burnt orange fabric and is finished with robust silver coloured hardware and the martingale has a burnt orange webbing section. 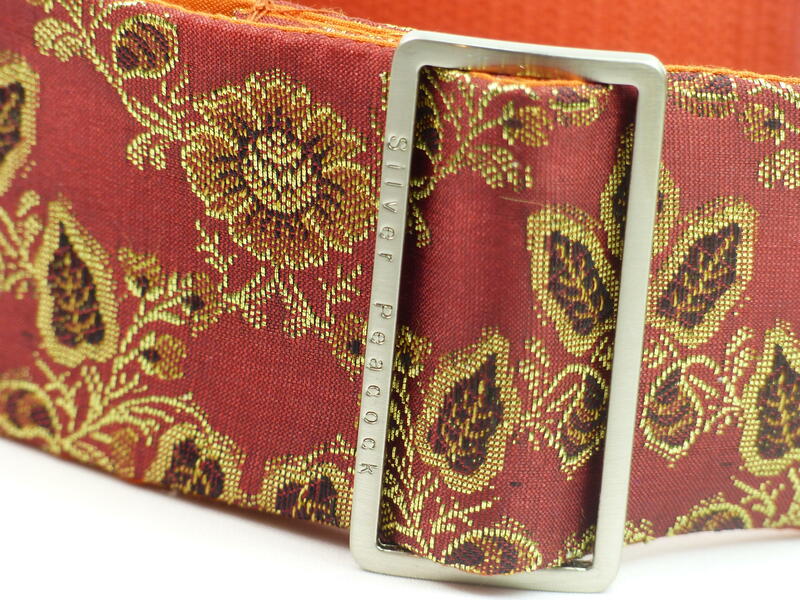 This is a more delicate fabric so one to save for days out, rather than every day use.